Brown Jordan Spring Sale – Extended! 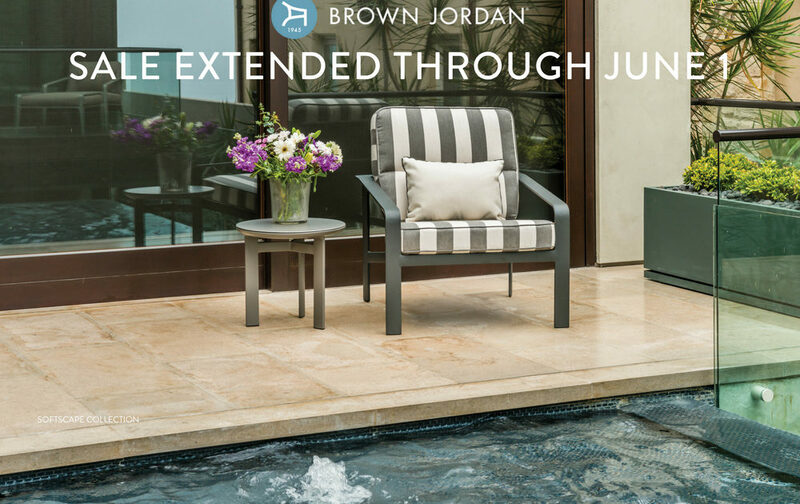 Brown Jordan pioneered outdoor furniture in 1945, and remains the industry leader today, with stylish, award-winning designs in aluminum, teak, and all-weather wicker as well as a beautiful collection of outdoor cushion and sling fabrics. Brown Jordan’s Spring Sales Event is underway now through June 1, with an additional 10% savings on all collections. Click here to browse our Outdoor Living collections, or wisit our showroom to experience the luxury and style of Brown Jordan outdoor furniture, and let our experienced team help you find the perfect collection for your outdoor space.